If you didn't already know, Wales is number 8 on the Rough Guide's list of Ten Countries to Visit in 2016. Anyone who has read the blog before will know that I moved from Scotland to North Wales in May 2015 and have nothing but good things to say about it. Now that my adopted nation has made it to the Rough Guide, I thought that I'd compile a list of fabulous places and attractions from across the land; with maybe just a little touch of bias towards the North. OK, so I actually live within the confines of Snowdonia NP. In a house, though...not out in the wilds in a tent or anything. They don't make tents big enough for my shoe collection and, when they do...it won't make any difference because I don't like camping. Anyway, I digress: Snowdonia is amazing! If you fancy a bit of hiking, feel free to climb Mount Snowdon, which is the highest peak in England and Wales, and second in the UK (with Ben Nevis in Scotland topping the leader board). Snowdon stands at an extremely respectable 1,085ft above sea level. I have no idea what this actually means, but it sounds like a lot of work to get up there. 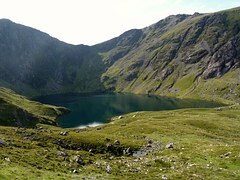 There are several routes to the Snowdon summit, which are helpfully graded in terms of just how hellish they are to scale. Me? I'd go for the easiest one every time. In fact, I'd be driving to Llanberis and getting the Snowdon Railway to the top because, well...I wouldn't have to walk AT ALL and I'd still get to stand on the summit and totally take photos for social media to tell everyone just how tired I was. Apart from hiking, walking, cycling, and all those other Outdoor Things fit people do within the National Park; we are also home to some beautifully picturesque towns and villages. My personal favourites are Barmouth, Porthmadog and Llanberis, which are all full of restaurants, coffee shops, independent stores, beaches, and the obligatory steam railways. Just to be clear: Wales also has normal railways, like you'd find everywhere else, but the steam trains are by far the most scenic way to get around, provided you're not in much of a hurry. If you need to keep an appointment, you should probably travel with Arriva instead. 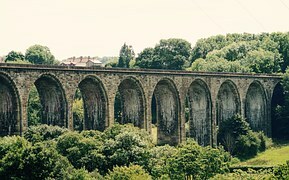 The Isle of Anglesey is connected to the mainland via the beautiful Menai and Britannia Bridges and is located at Wales' most north westerly point. Anglesey is the 5th largest island in the UK and sits in the Irish Sea. A short distance from the bridges is the location of the village with the longest name in the UK, which is a great place to get your photo taken, if you have a wide angle lens. Llanfairpwllgwyngyllgogerychwyrndrobwilllantysiliogogogoch is a pretty little village, even if you can never tell people you've been because you simply have no chance of EVER being able to pronounce it. Llanfair would be an acceptable shortened version, I would imagine. 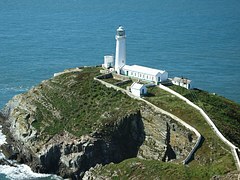 The rural coastline of the whole isle has been designated as an Area of Outstanding Beauty and, if you head up to Holyhead on Anglesey, towards South Stack Lighthouse, you'll see exactly why this is. South Stack is jaw dropping. And not only because you can literally walk along the edge of some pretty steep cliff faces, but also from beautiful colours of the flowers and heather, which provide a gorgeous contrast to the stark whitewashed lighthouse. It really is a fabulous spot for a walk (probably not if it's wet or windy, though, because of the whole certain death thing if you fell), but certainly on a clear day when you can wave to people across the water in Ireland and battle with your mobile provider as you get a text welcoming you to the Emerald Isle and informing you of just how much it’ll cost you to make any calls. Newtown is the biggest town in the Powys region in Mid Wales and lies on the River Severn. It is famous for being the birthplace of Robert Owen, the Welsh philosopher and entrepreneur, and founder of the co-operative movement. Owen's former home, unfortunately, has been replaced by the HSBC Bank, which I'm unsure whether is ironic or not, but there is a museum in the town dedicated to his life. Newtown is also home to a fabulous chapel and Baptist church, as well as the Oriel Davies Arts Centre. I'm fond of the high street in the town, which has a good variety of old school pubs, clubs and the obligatory Wetherspoons, lots of lovely independent stores and a fair few high street names thrown into the mix. Also: the British Red Cross charity shop in the precinct is the best I’ve come across, so far. There’s also a late night vendor on the main street who serves the best post pub crawl out burger I have ever tasted. Seriously, I'm salivating just thinking about it. Machynlleth is a charming town, full of lovely independent stores and a quite wonderful old clock tower, which dominates the opening to the main thoroughfare. I've previously written a post about the joys of Mach, so I won't go in to them again here. However, I will say that there are many. And please don’t miss Wales’ MOMA, located just off the main street, which is free of charge and absolutely wonderful. Cardiff is the capital city of Wales and is the seat of the Welsh Assembly (Parliament). Sitting on the banks of the River Taff and Severn Estuary, Cardiff is a wonderfully multicultural city with so much to offer. Whether you fancy checking out the unusual lines of the Senedd (Welsh Assembly); taking in a game of football at the incredible Cardiff Stadium; to checking out the Castle or one of the many museums on offer, or simply walking around the pleasant green surroundings of Bute Park, you will not be at a loss for busy, people filled streets or quiet, tranquil spots to relax. Me? I'll literally go anywhere where there are actual Welsh people as they're always lots of fun. 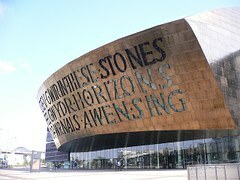 The regenerated waterfront area is a hub of activity, with a range of options for eating and drinking and is also home to the fabulous Millennium Centre; which will cater for all your concert and theatre going needs. For your inner geek, there’s a local Dr Who tour, since the BBC programme is filmed in the city or, if art, geology and natural history are more to your liking, you can while away the hours at the beautiful National Museum in Cathays Park. This is also free of charge. Located in South Wales, Brecon Beacons is a national park and mountain range, which includes Wale’s highest peak, Pen y Fan. The Brecons is one of three national parks in the nation and has also been awarded Dark Sky Reserve status in 2013, making it only the fifth to gain the accolade internationally. I think that means it’s REALLY dark at night, but I could be wrong. Much like Snowdonia, Brecon NP is more than just mountains and green space – it also incorporates towns and villages and all the local amenities that those bring. If you want to get away from it all, you can head off on one of a countless number of walking and hiking trails, take your bike out for a ride, relax with a cold cider (a Welsh one, obviously) in a local pub, or book yourself into a local hotel or B&B and have more cider. The choice is yours. Brecons NP has a huge range of different festivals and events organised throughout the calendar year, so there’s always something extra to enjoy on your visit there. On the Creuddyn Peninsula of Conwy County, lies the gorgeous seaside town of Llandudno. Famous for its beautiful Grade 2 listed pier and Great and Little Orme Railways, Llandudno has no shortage to of charm to entice in visitors. It is a lovely town to wander aimlessly around, as I often do, and sit out at one of the many independent coffee shops and boost your caffeine levels. When the weather is pleasant, as it often is, sitting out at the patio area at the rear of Venue Cymru, with a cold cider, looking out at the sea, is also a wise decision as the views are fantastic. If shopping is more your thing, head to Mostyn Street, which is the main money spending area in the town. There is a great selection of independent stores and national brands to choose from. 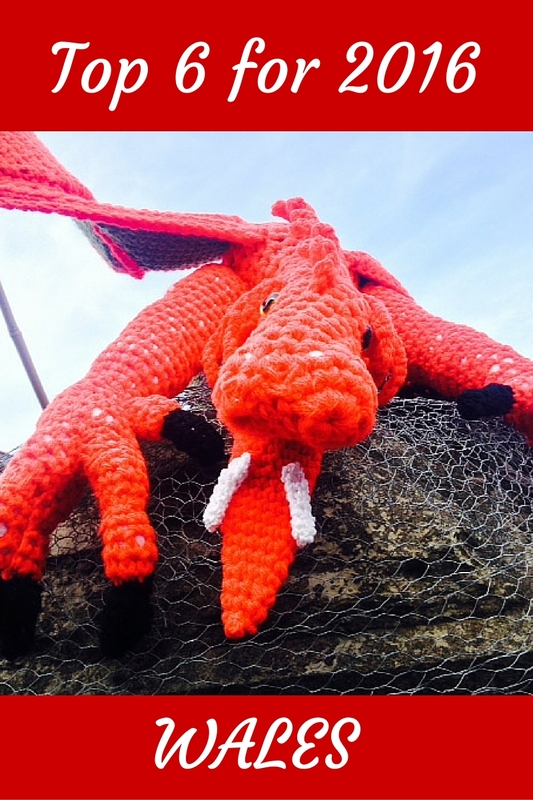 My favourite thing to do in Llandudno, however, is check out the Alice in Wonderland Trail. 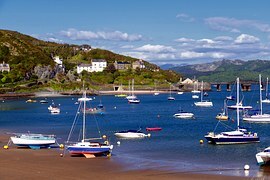 Llandudno is famous for its connections with the classic Lewis Carroll book and it is thought that the author visited the town and drew inspiration from its surroundings. Because of the connection with the books, there is a trail around the town, where you can grab a map (or download the app) and follow the White Rabbit trail. There are numerous statues, featuring all the famous characters from Alice through the Looking Glass, including the White Rabbit, Cheshire cat, Alice herself, and the ever terrifying Queen of Hearts. The statues are outstanding; carved from wood by some incredibly talented individuals with some really big chainsaws. have YOU visited Wales yet? If not...why? ?